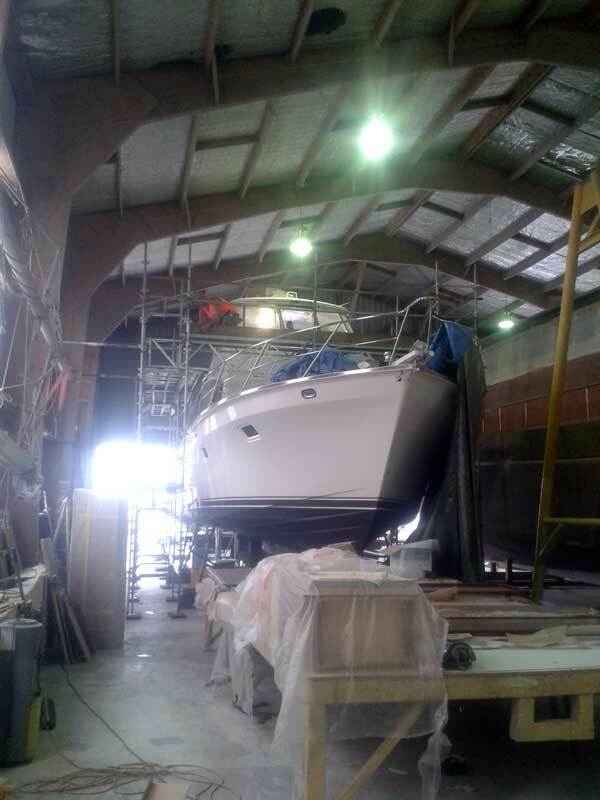 Its boat maintenance time of the year and this vessel at Pine Harbour is getting a full repaint. All Scaffolding built an access scaffold using the Tube and Clip scaffold system and then bridged over the bow using aluminium beams so as to access the deck area. Working inside Winstone Wallboards Penrose on a wet day is a bonus so when they needed an emergency job involving scaffolding a ducting frame then shrink wrapping we responded ASAP. 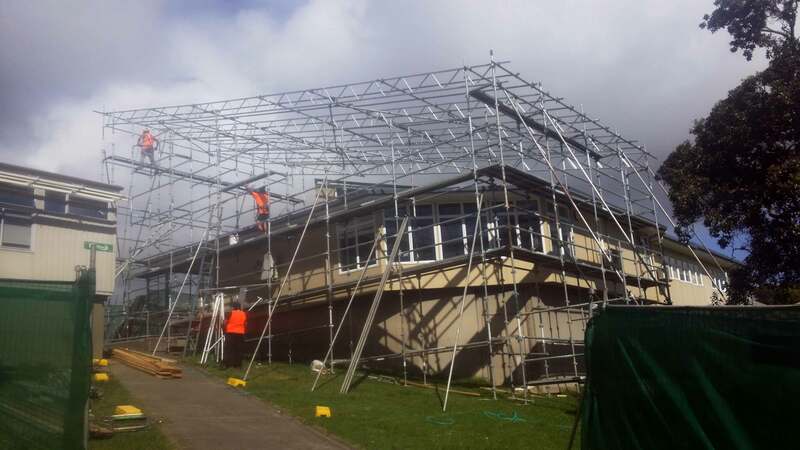 LEP Construction contracted All Scaffolding to scaffold and Shrink Wrap Glamorgan Drive Primary School in Torbay so they can extend the roof line. Using Tube and Clip with expansion Beams the roof can be shrink wrapped and weighted to cope with Cyclone Cook. 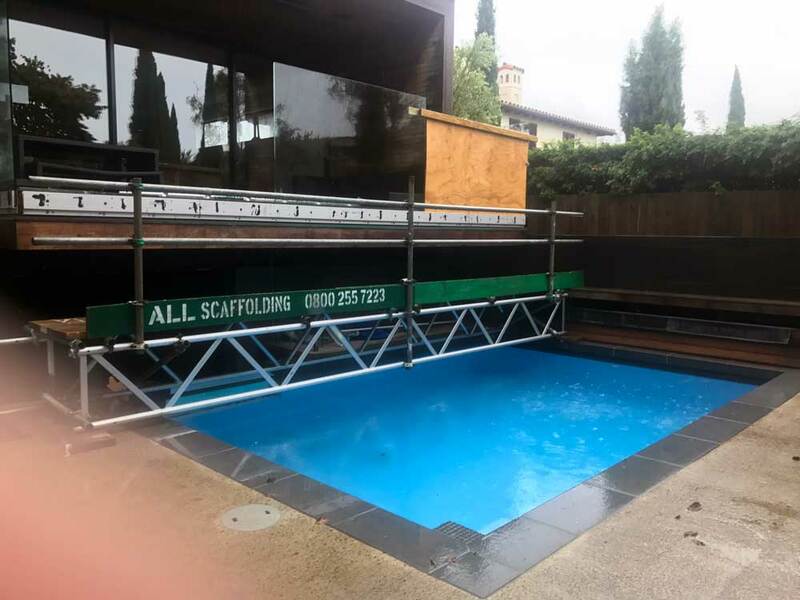 Glass Relate contacted All Scaffolding to bridge over the swimming pool for this St Heliers property. Using 5 metre scaffolding beams, tube and clip scaffolding as well as Kwik Stage scaffolding we achieved the task making the new glass installation easy as! The Christmas Break is the perfect time for Companies to undertake their maintenance schedule, so our guys have been hands on at Air Liquide in Otahuhu. Using access ladders and Tube and Clip scaffolding makes it ideal for working in a confined environment. All Scaffolding Ltd meets all the current scaffolding Health and Safety obligations to ensure the scaffolding work is carried out safely for our staff and the clients.